4 Tips to Have the Perfect Family Camping Trip at Jellystone of Estes! Camping can be so much fun, but if you’re not prepared it can also be quite stressful! Before you plan a camping trip with the family this year, make sure you do everything you can to ensure a fun family camping trip that you’ll always remember. Here are a few tips that will help you have the perfect camping trip. If you are planning your family’s first camping trip, then don’t just head outdoors and pitch a small tent. There are better ways to spend time with your family. 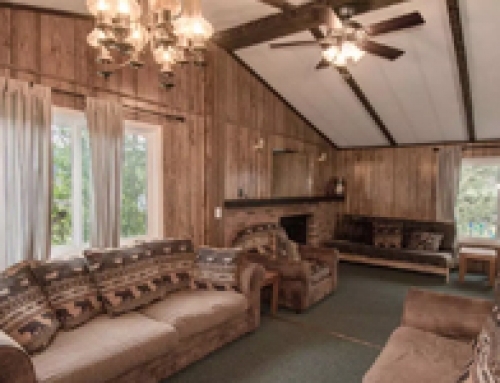 At our campgrounds in Estes Park, CO, you can reserve a spacious and cozy cabin. 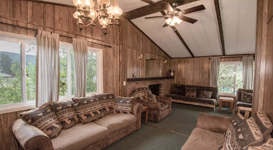 We have small lodges for five people or less and deluxe lofts with room for 14 campers. If you’re only using a tent, not only will you and your family be arguing over how to even set up the thing in the first place, but you’ll have some grumpy kids on your hands come morning. When no one can get any good sleep, everyone will be uncomfortable, making it impossible to have a good time. By staying in a nicer cabin rental, however, you’ll enjoy yourself that much more and be well rested for the rest of the day’s adventures. To learn more about our cabin rentals in Estes Park, just give us a call! No matter where you live, there are plenty of excellent RV parks that you and the family can visit. More than 11% of U.S. households headed by 35 to 54 year olds own an RV, and these vehicles are wonderful for camping trips. If you aren’t ready to purchase an RV yet, you can rent one for a fun-filled family vacation. In addition to feeling at home wherever you go, you’ll also be able to use mini fridges, microwaves, and other electronic devices. And at Jellystone Park of Estes Park, you can pull your RV right up to your campsite. Although you can use the grill for burgers, hot dogs, and dozens of kid-friendly recipes, you’re going to need enough small snacks to munch on throughout your trip. Especially if you’re bringing kids on this camping trip, then it’s important to pack plenty of treats. While few things are more satisfying than a burger fresh off the grill, sometimes you need a quick and easy snack to occupy your little campers. For first-time campers and family trips, it is important to remember that not all campgrounds are created equally! While rugged trips to the Great Outdoors are great for dedicated backpackers, it is hard to keep kids occupied for days on end unless there are activities for them to enjoy. When selecting a campground, make sure you pick a campground with a variety of attractions and amenities specifically designed for families. Jellystone Park of Estes offers two playgrounds, a pool, outdoor laser tag, mini-golf, a basketball court, daily planned activities, and more fun for every member of the family. In a technology-addicted world, you need lots of fun options to get kids excited about the family camping trip. Make sure you pick a family campground that can actually deliver the fun! There’s no reason to have a stressful camping trip. With a little preparation, you can ensure that you and your family have the best vacation ever. If you want to learn more about our cabin or RV rentals, contact Jellystone Park Estes today.